A nice companion to your reflections here is John Berger’s marvelous essay, “Why Look at Animals.” He writes specifically about the experience of viewing animals in zoos. animals see in black and white. I loved the pictures, but you were WAY off about the Black Rhinoceros. It just struck me hard when you referred to them as having “duller intelligence”. ALL animals, in my perspective, are intelligent in their own gifts. They ALL have a purpose in living in their natural habitat. Anna Merz, a woman who raised a Black Rhinoceros in Africa, concluded that rhinos ARE intelligent; they have learned to open doors, play fetch, know their names, and remember the scent of their caretakers. It just upsets me when people view the rhinoceros as dumb and unimportant – because they’re NOT! 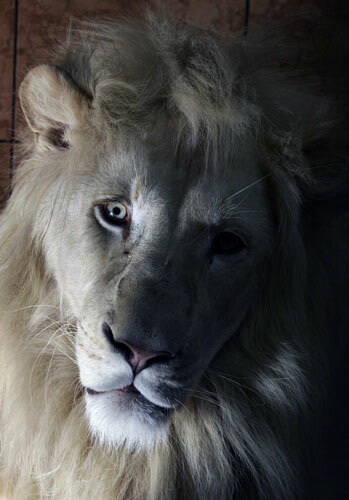 Rhinos, as well as that White Lion, suffer GREATY in captivity, too. They bang their heads on doors, wanting desperately to get out. They pace in circles for hours. There are even blood marks on their face sometimes from trying to escape their home in the zoo. Zoos hardly EVER put nice mudholes in the rhino’s enclosures; rhinos NEED to roll in mud to keep insects from biting their tough but sensitive skin. Thus, rhinos at zoos are often seen with many leisures on their beautiful skin. 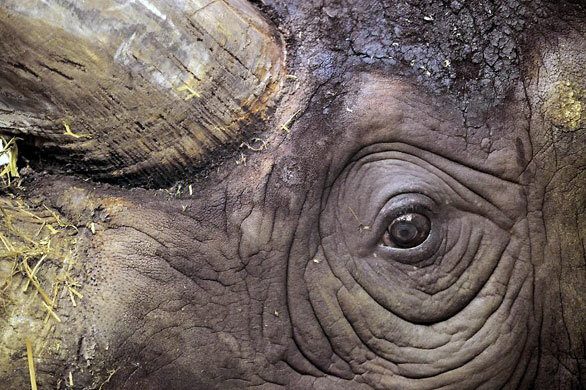 Rhinos have poor eyesight, but excellent sense of smell and hearing. 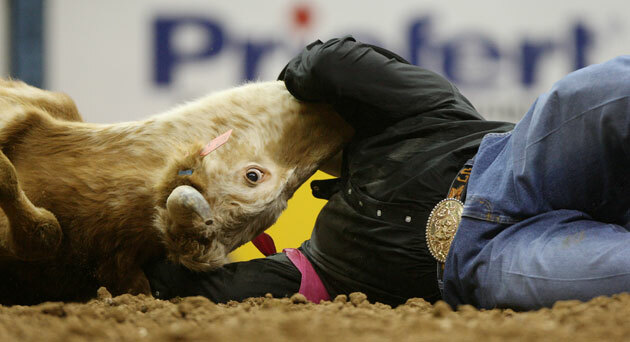 Like horses, they get frightened easily and have that “flee or attack” instinct. But when raised by a kind person in their natural habitat (and in zoos), they become gentle and trusting animals. Rhinos are misunderstood, amazing animals, and need respect from people. The rhino’s eye in the picture depicts it’s loss of spirit and freedom in it’s spacious, African home – which was taken from them. Rhinos are most definately not confined by their bodies; that’s how they are made. They are confined and burdened in confinement. Please understand that. Thank you. Cathie: Thanks for speaking up. I think zoos are shameful, at least in respect to many of the animals there and certainly the large mammals.